When in comes to brewing tea water makes up to 99% of the tea that you drink. This makes water a key ingredient. Ideally using natural sweet spring water is best but filtered or bottled water that is clear of hard minerals and chemicals is fine (ex calcium, chlorine). Remember that impurities from the water that you use will be carried over to the tea that you drink. Water temperature can affect the structure of the leaves and influence the way flavors are released. Water that is too hot can singe delicate leaves and cause the release of very bitter and astringent flavors while water that is too cool will be unable to fully extract flavors from the tea leaves resulting in a bland and tasteless brew. The 2 most popular ways of brewing tea is with a gaiwan and a teapot. Such vessels are often made from porous clay that can absorb the aromas and flavours of the teas brewed. This seasoning accrued over a period of time can add to the flavors and aromas of the teas you brew. Steeping time is vital in brewing tea. It is important to get your steeping time as exact as possible to ensure a good brew as opposed to one that is too weak or too strong. Always take into consideration the speed to which your teapot empties as this could indirectly add to your steeping time. A gaiwan can and should empty within 2 to 3s max. A teapot can vary between 5 to 10s with some taking even longer. Often times a teapot that empties slowly will cause overbrewing resulting in strong and harsh flavors if no counter measures are taken such as lessening the steeping time. 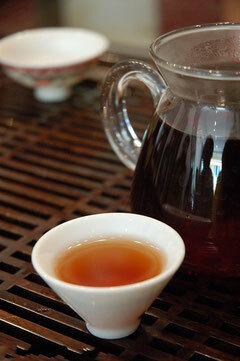 Pleases note that the “Steeping Time” given to each of our respective teas are for brewing tea with a gaiwan. For teapots please deduct 5 seconds from the steeping time shown. The amount of tea leaves used plays an important part in determining the strength of your tea. Too little and you end up with a weak tea that is light and tasteless. Too much and you end up with a strong tea with harsh, numbing flavors. It takes a bit of fine-tuning to get things right and rarely does one find the perfect measurement when brewing tea for the first time. Here at Puerh Cha we advise that you start light and with restraint. Using too much tea leaves is not only wasteful but the resulting strong and harsh flavors can sometimes ruin your taste buds and prevent you from fully enjoying your tea brewing session. By starting light you can always add more tea leaves. At Puerh Cha we flush all our teas with hot water before the actual steeping. The reason for this is that all tea leaves at some time during their growth or processing are exposed to some degree of dust and dirt. The flushing cleans the tea leaves of impurities and helps awaken them for the actual brewing. Depending on the tea the time for flushing can vary from 1 second to as long as 1 minute. A tea leaf has many layers. Each layer has a character of its own reflected through its taste and fragrance. 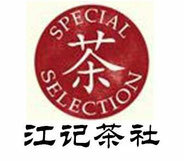 For some teas like pu'er tea, each layer can have distinctively different characteristics. Hence we use short multiple steeps for brewing tea in order to extract individual layers and experience their respective characteristics. Long steeps will extract and combine the characteristics of multiple layers causing subtle taste and aromas to be lost. the following steeping times - 15s/15s/20s/25s/30s/30s/35s/40s/50s. The first steep is for 15 seconds followed by a few minutes rest as the tea is enjoyed. The second steep again is for 15s, the third steep 20s and so on. Notice how each steep gets progressively longer as more time is given to extract the taste and aroma from the leaves. Premium pu'er tea have enduring leaves that are packed with flavor making it ideal for multiple steeping. A few grams of leaves can go a long way. Here are a few tips that you can use to take the edge of water at full boil. For a gaiwan, hot water is first poured on to the inner lid and directed into the cup below. This passing through helps cool the water before it makes contact with the leaves. For a teapot, hot water is poured from a standing up position (chest level). The height and controlled flow helps cool the water before it enters the teapot. To ensure that a consistent brew is served we recommend that tea from a brewing vessel is first emptied into a small pitcher and filtered to remove unwanted seditments. The pitcher is used to fill the cups. At Puerh Cha we provide the basic parameters (leaf and water ratio, water temperature, flushing time and steeping time) for brewing all our teas to start you in the right direction. As you become more adapt and proficient we encourage you to liberate yourself and make adjusts in order to meet your own personal taste and preferences. Brewing tea is an art and the appreciation of art is very different for each and every one of us.